Consultancy for repairs and damage, both residentially and commercially, providing Drawings for damaged homes and scoping out projects large and small is all part of 2Build Designs Services. 2Build Design’s skilled design team develop your ideas into a 3 dimensional drawing placed on your site that you can view from all angles. You can visualise the end product and make necessary changes during the design phase. 2Build Design provide a very high level of comprehensive drawings and specifications enabling smoother transition to the construction phase. Paul and Anna-Lisa have been involved in the Christchurch Catastrophe team through some of New Zealand’s largest Insurance Companies since the earthquakes began in 2010. Specializing in Loss Adjusting and Consultancy for residential and commercial earthquake damaged properties, in the greater Canterbury Region. Paul has had extensive storm related experience throughout New Zealand. Having 25 years of practical experience in the design and building industry enables a high level of technical ability and detail. Paul and Anna-Lisa are also consulting within these companies for Natural Disasters in Australasia to assist in catastrophe relief, on-call basis. Meeting you on site completes vital information that assist our design team to understanding you and what you want to achieve from special features you wish to maintain or enhance from your site. Our holistic approach explores the options that the topography of the land offers, maximise natural resource of daylight sun, a design best matched for your lifestyle and your budget. Consultation will be offered to discuss life-cycle of the materials which will maximise your investment, to explore options to making your home more energy efficient, better insulated and options to minimise ongoing maintenance. Optional: Our design team specialise in energy green homes that can include alternative sources of energy, depending on your sites potential. Design is a process to understand your living requirements, your investment options and meeting the quality you expect for your family to enjoy their new home for the years ahead. Your free onsite consultation starts that process. Design options in 3D modelling: confirm the design looks and feels right before construction. 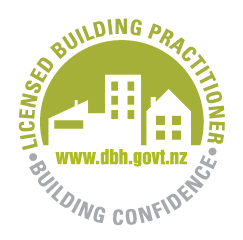 2Build Design will file the necessary documentation, written approvals and consultants reports to achieve the best outcomes from a Resource Consent. There are two types of resource consents- Land use consents which relate to the use and development of land including buildings on land and Subdivision consents which relate to subdivision of land. 2Build Design access the right information necessary to build within the right guidelines set by associated parties. The Project Information Memorandum will highlight relevant information pertaining to the section, specific requirements required to meet policies and amenity values before design. 2Build Design have the experience and common sense to add value and combat design obstacles when trying to develop ideas and work with the natural resources and building restrictions. 2Build Design have preferred engineers that provide all the relevant reports required for geotechnical or structural. 2Build Design - No claims have been made against 2Build Design or it’s Director in the 25 years they have been engaged in the industry standing by their solid reputation of being without blemish.